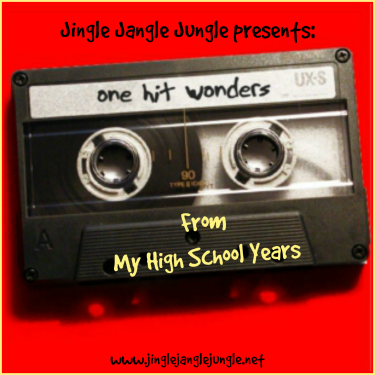 Vandy J, has chosen the theme "One hit wonders of when you were in high-school"
I’ll be attending my 35 year reunion this next summer. If you can do the math quickly, you’ll know that I my high school years had some great music. My high school was technically for the last three years, but for you traditionalists, I’ll include the Freshman year in my list as well. According to some chart I read on the internet, these 5 songs were the one hit wonders during my high school years. It peaked at No. 2 in M’s native U.K., unable to dislodge Art Garfunkel’s “Bright Eyes” from the top spot. The genius behind Lipps, Inc. was, swear to God, a guy named Steven Greenberg. Vangelis worked with Yes for several weeks in 1974 after Rick Wakeman left the group, but eventually decided not to join the band. Basil, who started out as a choreographer on Shindig, was pushing 40 when this song came out. But she could still fit into her old cheerleader’s outfit from Las Vegas High. Combustible mastermind Kevin Rowland fired the band’s drummer in the middle of the video shoot; he’s only visible in the first half of the clip. Did you have some great music during your high school years? Tell me about it in the comments. Be sure to stop by on Wednesday for another round of Battle of the Bands! Cool! You went to high school in good times! hehehe! Funkytown use to be a favorite of mine. 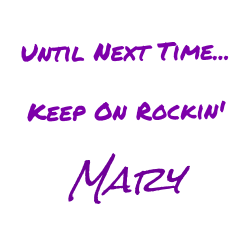 Have a rockin' week! Sure had some great tunes during my days! I really liked each of my one hit wonders. I had a lot of fun with this theme and I see you did, too. Chariots of Fire is one of my all time favorites (it just transports me to other places), and it is starting off my day so very right (but I do like the other songs, too). I was pleasantly surprised with the selection. All fun songs! "Chariots of Fire" was a huge hit and one I remember by name alone. Your other selections have played over recent years enough that I'm not sure if I actually recall when they released but this was in my college years. I didn't get to listen to much mewsic on the airwaves like I wanted. Great to hear the tunes again. Have a tunetastical day, my friend! Thanks Cathy. I'm pretty sure I included the year of release in my post. Music has been a part of my life since I was little. The high school and college years were a great time for me. You went to school and had some great music. Chariots of Fire was a great song. Patrick, you seem surprised that I went to school. I'll have you know I walked 6 miles uphill in the snow both directions! And if we wanted to change the channel on the television it was a good 7 feet of shag carpet I had to wade through! Your high school years came on the heels of my own. So, by the time Dexy's hit with 'COME ON, EILEEN', I was already out of high school, working in the entertainment industry a few days per week. The rest of the time I was hanging out with my drinking gang, watching MTV videos and catching good daytime buzzes. Ha! There's a small handful of songs that especially bring those hazy dayz back to mind for me instantaneously, and 'COME ON, EILEEN' is right there with the best of them. I loved that song, watched the video a godzillion times while quaffing Mickey's Big Mouth, and I even bought the album the song came from. Wild Cherry is right up there with my favorites! Remember when the M in MTV actually stood for Music? Those were the days. I didn't have tv when I was in high school, but I sure made up for it at college. Watched MTV all the time along with David Letterman and SNL. Being from the very conservative state of Idaho, I was fascinated with the hair and fashion that was taking over the nation in the 80's. Sure I rocked the big hair as well (in my own way). In fact, I was going to upload a picture once, but it said the file was too large - must have been from all of that hair! I guess Toni Basil would have to be pushing 40 in 1982 if she had been on "Shindig!" Great set, Mary! This theme was a lot of fun this week. I'm going to tout a new group I likely mentioned before. ~grin~ Palaye Royale is amazing. Happy Monday!